Congratulations to all of you who committed to the Green Smoothie Challenge, and to those of you who went the extra mile and did the Raw Food Challenge as well! First, I would like to compile some testimonials about the green smoothie/raw challenge to encourage and inspire others. If you are willing to share a short blurb (or long if you like) about your experience and how it affected your eating habits, family, etc., I would be delighted. Please email me directly by Friday, April 4. Second, the challenge will go on! Think of it as a “rolling challenge”. People will be able to start whenever they want…it won’t be tied to a certain time frame. Feel free to continue spreading the green smoothie/raw love around to your friends/family…direct them back to Happy Foody for information/support. Lastly, I will be leaving the Smoothie and Raw Yahoo Groups “open” indefinitely so that those of you who would like to continue supporting each other in your journey can do so. Add greens. Eat more raw. Be happy! Entry filed under: Green Smoothies, Raw Challenege. I just tried my first one today, and wow am I excited! I will admit that i had to add a T. of honey since my fruit wasn’t quite as ripe as I’d have liked, but I drank 24 oz for breakfast! Off to post about it on my blog to spread the green word! 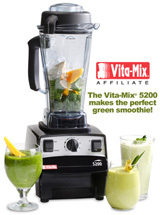 I just linked to you on my blog this past week about the Green Smoothie Challenge. I never officially signed up for it when you originally posted the challenge, but God brought my motivation around to the right place a few weeks ago. I didn’t go all out–with green smoothies every day–but rather began to incorporate them about 3-4 times a weeks. Part of the reason I didn’t start originally is b/c I thought I had to have a vita-mix type blender to make them. But your tips a few posts about making green smoothies in plain, cheap-o blenders totally gave me the kick in the pants I needed to dive in, head first. Now I’m really enjoying them, and even got my husband to try one, too. 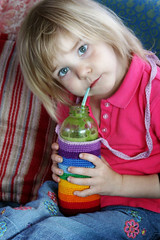 Any thought on how to motivate my 4 year to give the green smoothie a try? He’s had fruit smoothies, and honestly, I think the “green factor” is what freaks him out the most! He sees this green goo in a glass and politely says, “no thank you.” I want to motivate him, not force him, and any positive ideas you have would be greatly appreciated. thanks for hosting it. I didn’t experience any changes as a result of drinking green smoothies, but they were a good breakfast, so they’re definitely going to stay in my breakfast rotation. At the end of January, I decided to finally go vegetarian and to cut out dairy. I started green smoothies about two weeks later so my observations must fairly be based on both of those changes. Despite losing weight, my milk production definitely increased. My toddler happily slurps approximately a pint of green smoothie every day. My elimination, which has been really erratic since my children were born, is completely healthy and normal now. My skin glows and is completely clear. My husband’s dark eye circles are much lighter and his allergies (environmental) haven’t been bothering him. My husband reports more energy during his work day without having to rely on caffeine. Everyone around us is getting bad colds and flus and we are healthy. Only the baby had the sniffles for a couple of days but it never got worse than that and went away quickly. I don’t need nearly as much food to satisfy me as I used to and my cravings for “bad” food are gone. I don’t even think in terms of bad or good anymore. There’s food (whole plant food) and not-food (animal products, packaged junk food, paper, dirt, etc) I would no sooner eat a hamburger than I would a shoe. For me, it was the perfect jump start to being “successfully raw”, to take a page from Karen Knowler. For me and my family, that’s around 75% raw. I just feel so good. I can’t thank you enough for being the impetus to finally DO this. I turn 30 next week and I am so excited to be moving into my best health ever. How’s that? 😉 All blessedly true!